DALLAS – March 29, 2018 – Researchers from UT Southwestern's Charles and Jane Pak Center for Mineral Metabolism and Clinical Research and Internal Medicine's Division of Nephrology recently published work in Nature that reveals the molecular structure of the so-called "anti-aging" protein alpha Klotho (a-Klotho) and how it transmits a hormonal signal that controls a variety of biologic processes. The investigation was performed in collaboration with scientists from New York University School of Medicine and Wenzhou Medical University in China. 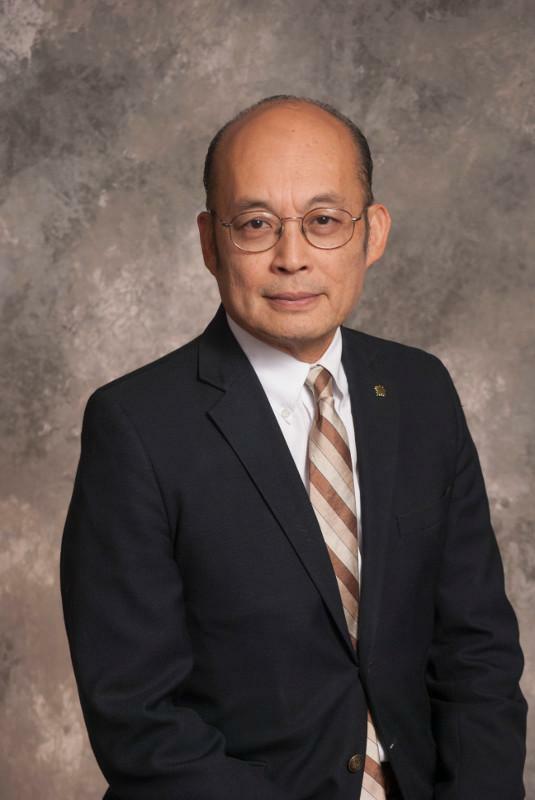 Studies at UTSW two decades ago by Dr. Makoto Kuro-o, Professor of Pathology, demonstrated that mice lacking either a-Klotho or the hormone FGF23 suffered from premature and multiple organ failure as well as other conditions, including early onset cardiovascular disease, cancer, and cognitive decline. Because defects in a-Klotho lead to symptoms seen in aging, researchers inferred that a-Klotho suppresses aging, leading to great interest in how the a-Klotho protein might work together with the hormone FGF23 to fulfill their roles. a-Klotho can exist on the surface of a cell or can be released from the cell and circulate in body fluids, including the blood, as soluble a-Klotho. The cell-attached form and the circulating form of a-Klotho were previously and universally believed to serve completely different functions. "The a-Klotho gene [then called Klotho] was cloned by Dr. Kuro-o in 1997 shortly before he was recruited here, and during his tenure at UT Southwestern he has carried out the most seminal work in this field," said Pak Center Director Dr. Orson Moe. "The gene protects against many diseases, including cardiovascular disease, cancer, diabetes, aging, neurodegeneration, and kidney disease. The structure of the a-Klotho protein and how the protein functions, however, largely remained a mystery until this current work." By providing a first look at the structure of the protein complex that includes FGF23 and its co-receptors, the FGF receptor and a-Klotho, the most recent study challenges the long-accepted belief that only the cell-attached form of aKlotho can serve as a receptor for FGF23 and hence that FGF23 action is restricted to tissues having the cell-attached form. Study authors include Dr. Moe, Professor of Internal Medicine and Physiology, and Dr. Ming Chang Hu, Associate Professor of Internal Medicine and Pediatrics. Dr. Moe holds The Charles Pak Distinguished Chair in Mineral Metabolism, and the Donald W. Seldin Professorship in Clinical Investigation. Dr. Hu holds the Makoto Kuro-o Professorship in Bone and Kidney Research. One of the major, paradigm-changing findings revealed by solving the protein complex structure is that the circulating form of soluble a-Klotho can actually serve as a co-receptor for FGF23. Thus, the soluble form of a-Klotho can go to any cell in the body and act as a co-receptor for FGF23, rendering every cell a possible target of FGF23, representing a major paradigm shift. "a-Klotho researchers in cancer, aging, neurologic, cardiovascular, and kidney disease will benefit from this research," Dr. Moe said. "The knowledge of the structure of the protein, along with its molecular binding partners, will enable us to greatly advance the understanding of how a-Klotho works and also how to best design therapeutic strategies and novel agents that can either activate or block FGF23-a-Klotho interaction and signaling as needed." Collaboratively led by NYU School of Medicine structural biologist Dr. Moosa Mohammadi, the investigation included researchers from UTSW, the Rockefeller University-based New York Structural Biology Center, and Wenzhou Medical University. The study provides evidence for how FGF23 signals to cells by forming a complex with a-Klotho and the two other molecular partners. Made by bone cells, the FGF23 hormone travels via the bloodstream to cells in all organs, where it regulates many aspects of mineral metabolism. Abnormal FGF23 levels are found in many disease states. In chronic kidney disease, for example, high FGF23 levels are believed to cause many of the disease's complications and fatalities. The researchers say their findings also shed new light on how kidney disease leads to an abnormal thickening of heart muscle tissue called hypertrophy, which is a leading cause of death in people with kidney disease caused by high blood pressure, diabetes, and other illnesses. When damaged kidney tubules can no longer eliminate phosphate in the urine, FGF23 rises, initially as an effort to keep blood phosphate in check. With time, FGF23 can rise to harmful levels. A prevailing hypothesis has been that very high levels of FGF23 cause hypertrophy in the heart. But the theory remained controversial because heart tissue does not have a-Klotho, which must be present if FGF23 is to signal. The latest findings indicate that a-Klotho can be "delivered" through the bloodstream to organs where it is not normally present. This could potentially launch drug development programs for kidney disease, the researchers said. "The solution of this protein structure will guide many future studies," Dr. Moe said. "There are numerous diseases that involve a-Klotho deficiency. Replenishment of a-Klotho by either recombinant protein injection or drugs that increase a patient's own a-Klotho will have potential therapeutic implications for neurologic, metabolic, cardiovascular and kidney disease, and cancer."